As you make your way through South Gippsland to Foster and the Corner Inlet district, you’ll discover an eclectic mix of vibrant townships and villages, each with their own, unique personality. You’ll know you’ve arrived in this fish-themed village when you see the giant mullet atop the roof of the Fishy Pub. Fish Creek is home to a thriving artistic community, and attracts visitors en route to Wilsons Prom, who browse the galleries and shops, or enjoy breakfast, lunch or afternoon tea at one of the charming, quirky cafe’s. The rail trail passes through the centre of the town where there is a park with BBQs and a rotunda. It’s a town where visitors feel compelled to stop and relax for a while. See this ABC Arts online video about Fish Creek. Only a short drive from town, park the car at the foot of Mount Nicholl and walk to the Lookout at the peak. The views over Corner Inlet, Wilsons Prom, Waratah Bay and surrounding countryside are truly spectacular. Sandy Point is an idyllic small coastal village two hours drive south east of Melbourne. Located at the northern end of Wilsons Promontory National Park and fronting both the surf beach of Waratah Bay and the water sports mecca of Shallow Inlet, Sandy Point is a perfect and accessible base for exploring the beauty of the natural attractions in the area. Situated half way between Leongatha and Foster is the village of Koonwarra, which is famous for its holistic approach to sustainable living. Its commitment is evident through the organic food and wine, clothing, furniture and art, accommodation, health and wellbeing available. In 2004 Koonwarra became the first Eco-wise town in Australia. The acclaimed Koonwarra Farmers’ Market is held on the first Saturday of each month, while the local cafes are renowned for their food, ambiance and gorgeous garden settings. Meeniyan is fascinating village at the ‘turning point’ from the South Gippsland Highway to Wilsons Prom and the seaside hamlets of Waratah Bay and Sandy Point. Meeniyan was catapulted into national fame as ‘Rainbow’s End’, the location for ABC TVs popular Bed of Roses mini-series, starring Kerry Armstrong and most of the local community, who appear in the program mainly as extras. The a town growing in artistic flair and invites visitors to browse its seriously good art gallery, fine jewellery studio, gift emporium and cafes. Musicians of national and international acclaim play regularly at the Meeniyan Hall. Toora is located right on Corner Inlet, a Ramsar wetland site of international significance, renowned for the migratory birds which nest in the area. The town has a number of heritage sites, including the hotel, bank, post office and old Toora Bush Nursing Hospital. Visit the bird hide just south of Toora. Take the Toora Historic Tour by following the trail markers for historic buildings, and have refreshments at the cafes or hotel. Visit the lookout and wind turbines on the hills behind Toora. Walk from the Franklin River Reserve to the Toora Cemetery along Dorans Road – this is a natural habitat for koalas. Fish from the boat ramp walkway. Play at the tennis court, skate park, and children’s playgrounds with BBQ’s. Drive up to the lookout, part way up Silcocks Hill Road, on the way to Agnes Falls, with picnic tables and magnificent views across Corner Inlet to the Prom. Port Welshpool's Long Jetty is one of the most significant jetty structures on the eastern seaboard. The coastal village of Port Welshpool revolves around fishing. Colourful commercial trawlers at the wharf make a great photo, and the views to Wilsons Prom are simply stunning. At the heart of Port Welshpool is the old Long Jetty, built in 1939 and, until its closure in 2004, was the centre of recreational activity and tourism. Today, there are strong hopes that the Jetty will be restored and reopened to the public, giving people once again access to the deep, clear waters that are home to a stunning array of resident and visiting marine life, including seahorses, crabs and starfish, schools of salmon and kingfish, along with dolphins, seals and penguins. The Welshpool & District Horticultural Society hosts a popular flower show in October of each year with over 400 entries submitted from a range of locations in South Gippsland. Prom Coastal Charters offer half or full day fishing adventures, complete with a tour operator willing ot impart a wealth of local fishing knowledge. Scenic charters can also be undertaken, providing a unique way to access more remote areas of Wilsons Prom National Park. Walkerville is situated on the shores of Waratah Bay. Both Walkerville North and South overlook the Cape Liptrap Coastal Park and Wilsons Promontory. Once home to a thriving lime industry, remnants of the kilns can still be seen lining the cliffs of Walkerville South. Walkerville South has an historic cemetery. 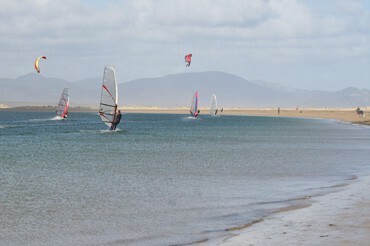 Boats can be launched from the beach. Walk along cliffs between Walkerville North and South. Picnic tables, electric BBQ and kiosk. Cape Liptrap Coastal Park stretches from Point Smythe to Waratah Bay and features strikingly beautiful scenery. Waratah Bay is renowned for its stunningly beautiful, safe surf beach beside a secluded holiday township. It has good playground and picnic shelters, and a lookout at the visitor car park at The Gap where, if you’re very lucky, you’ll see whales frolicking just offshore in the autumn months. 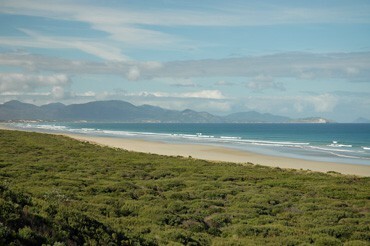 Walk in the Cape Liptrap Coastal Park behind the Waratah Bay Caravan Park, or enjoy a spot of surf fishing. Boats can be launched off the beach. Nestled on the isthmus between Shallow Inlet and Corner Inlet Marine and Coastal Parks, Yanakie is the last settlement before the Prom. The sheltered waters of Shallow Inlet provide a secluded and peaceful setting for a wide range of water based activities, while Corner Inlet provides a safe haven for over 180 species of birds. Walk along the Duck Point loop track, the Yanakie Landing circuit, or from Hourigan Camp Lane along the walking track to the beach at Shallow Inlet. Yarram Traders & Tourism Inc. Please contact us if you would like us to add a link to your nearby community info online!